2019 is going to be a fantastic season with a change in format. Race weekends will have a two day format with Round 1 on the Saturday and Round 2 on the Sunday (optional Friday practice at Round 1 for each class). The last weekend of the season will be a 3 day Grand Finals event. They will befilmed with YouTube coverage. 2 Dropped rounds from total score. Example Rotax Class 10 Rounds , Best 8 count. Entry fee £90 per Round. Two Rounds per race weekend (If you only want to do one round in a weekend it has to be Saturday only). To Race on Sunday you must have entered and raced on Saturday. The Registration fee is £150. Controlled fuel will be mandatory from a nominated local fuel station. Two rounds can be dropped from the total per class. 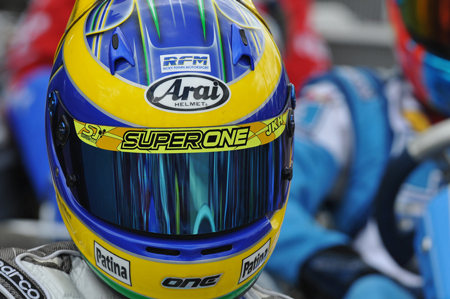 Super One is the Premier Karting Championship, run by professionals who ensure quality racing on a level playing field. Super One were the first Championship series to introduce Unilog clutch checking in Rotax which sorted all the contentious issues in this area. Onboard video cameras were added as far back as 2010 to assist in reducing the occurrence of unfair incidents and to ensure a fair outcome. Super One is always looking at ways to raise the profile of the drivers taking part in the series and the dedicated Super One Channel on You Tube coverage will continue to play a big part. When the Motors TV championship ran a couple of years ago several drivers were approached by companies who had seen them on the little screen and sponsorships were offered. One example was Joe Boullen who received a £5000 sponsorship deal and went on to race in Euromax where he was immediately recognised by the other drivers because they’d seen him on Motors TV. The Super One Series is recognised throughout the world for its competitive edge and professionalism.